Die vielfach ausgezeichnete Kotospielerin wählte fünf Kompositionen vom klassischen Midare-Stil für die 13-saitige Koto bis zu zeitgenössischen Werken für die neuere, 17- und 21-saitige Koto. Sie wird zum Teil von Tadashi Tajima auf der Shakuhachi-Flöte begleitet. This exquisite recording presents five pieces from the repertoire of koto performers in the field known as 'gendai hogaku,' or contemporary music for Japan's traditional instruments. Performers in this field play on the traditional 13string koto and two of its 20th century variants: the jushichigen ('17 strings', bass koto) and nijugen (literally '20 strings' but now as a rule with 21). Performers in this field have generally undergone early training in the classical repertoire, but it is very uncommon for them to include pieces from that repertoire in their solo or group recitals. This trend is indicative of a shift in direction, away from the vocal towards the instrumental, that is currently shaping the future of new composition for the original and newlydeveloped versions of Japan's traditional instruments. The traditional koto is a long zither with thirteen strings stretched over a hollow shell made of kiri (princess tree or paulownia) wood. The strings are held up over the body of the instrument with movable bridges whose positions can be changed to produce a great variety of tunings. From its ancient introduction to Japan from the Asian continent until the early decades of this century, the instrument went through no major changes in construction. The situation has changed dramatically, however, since the 1920s, as a number of versions of the instrument with more strings were developed to answer demands for greater instrumental versatility. 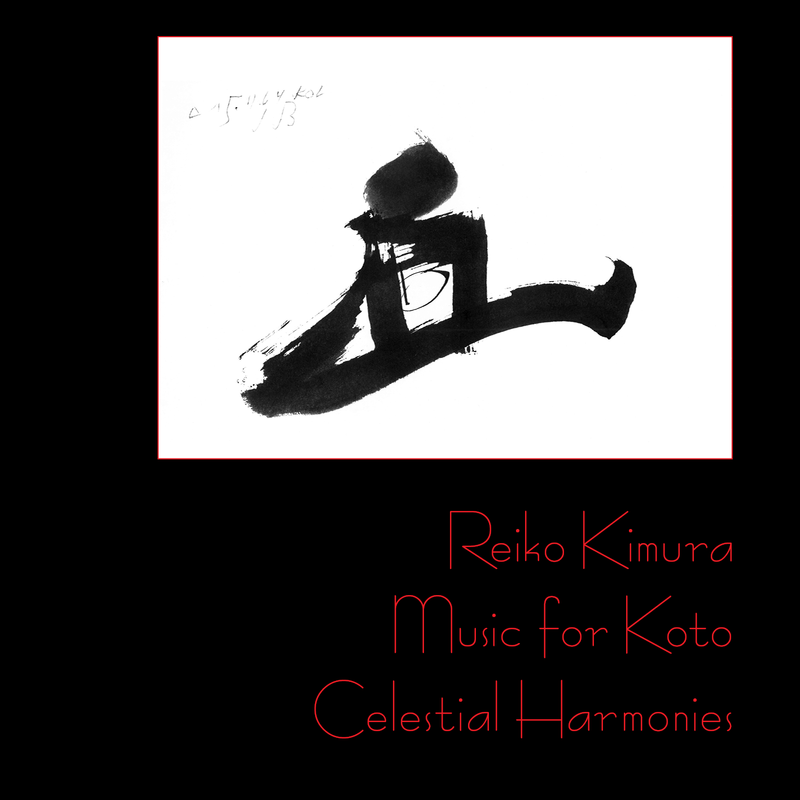 Reiko Kimura says this about her choices for this disk: "I selected the pieces to facilitate a broad understanding of music for the koto, including a range of pieces from the classical Midare to a recent piece by a young composer. In addition, two of the contemporary compositions included are classical in atmosphere: Matsumura's Shikyoku Ichiban and the second half of Miki's Higashi kara, which has the independent title Godan no Shirabe, thus acknowledging a debt to the classical danmono form. The only piece from the classical repertoire is Midare, but the inclusion of two contemporary pieces with a classical atmosphere should make for a natural flow from classical to modern." Reiko Kimura was born in Nagano prefecture to a kotoplaying mother, and started koto lessons at the age of six. Lessons in piano and solfege followed soon after. In 1971 she entered the Seiha Academy of Music in Tokyo, where she studied classical koto of the Ikuta school and jiuta shamisen. On graduation she continued her studies at the training course for performers of Japanese music established by NHK (Japan's public broadcasting network). In 1977 she joined Pro Musica Nipponia, and started her studies of the nijugen. She was awarded first prize at the 1979 Pan Musique Contemporary Music Contest. Her fourth solo recital, an allMiki program, was awarded the 1994 Arts Festival Award for most outstanding musician. Leaving Pro Musica Nipponia in 1997, she became a soloist with Miki's Orchestra in Asia. Tadashi Tajima is a shakuhachi player of international renown. He has participated in many international music festivals, including the Edinburgh Music Festival and has performed in a total of 14 countries outside Japan. He was awarded the Arts Festival Award by the Agency for Cultural Affairs in 1990. As a member of Pro Musica Nipponia, he has been awarded the Remy Martin Prize, and the Ongakunotomo Sha Prize. He placed first at the Japanese Music Competition of the Pan Musique Festival, being awarded the Grand Prix and the German Ambassador's Award. 2 Shikyoku Ichiban (Poème I pour shakuhachi et koto) 15'33"
3 Rhapsody for twenty-string koto solo 15'36"
4 Higashi kara (From the East) 13'39"
5 Ame no Uta (A Poem of the Rain) 13'28"